To get your Pleasure Craft Operator Card (PCOC), you need to write a test approved by Transport Canada. All you need to know for your test is presented by knowledgeable instructors in an easy format that is both informative and entertaining. You can be confident in knowing that this course meets all the standards established by Transport Canada’s Office of Boating Safety. On successful passing the exam offered by Canadian Power & Sail Squadrons, your Card is recognized by BOTH Transport Canada and The National Association of State Boating Law Administrators (USA). The PCOC makes sure you have immediate navigation and safety skills but it’s just the beginning of what you should know when you get on a boat. In the second of our Boating Series, you are introduced to the art of navigation, anchoring, ropes, lines and knots – not to mention what to expect when the boat is moving under power. This course also has a number of optional topics that will be taught depending on your interests; these include towing and a check list for layup and launch. Membership to the Canadian Power and Sail Squadron available upon completion of the course. *Combine this course with Boating 2 Beyond PCOC and save $35 off the regular price! A minimum of 7 students are required to run this course. Recommended Prerequisite: Introduction to Navigation or you must have a practical knowledge of paper chart navigation as determined by the Toronto Squadron Training Officer. The Boating 4 Course (Seamanship) builds on "Boating 3 - Introduction to Navigation"
Seamanship uses traditional navigation, GPS fixes, Way Points, along with the introduction of Deviation, in the three homework cruises, and the examination take home cruises. Seamanship explains the hazards of weather, wind, waves, tides, and tidal currents and how to deal with them. When unforeseen circumstances arise such as man-overboard or medical emergencies, the seamanship course helps the student to acquire the skills to deal with life-threatening situations. Plus: This course does not include materials obtained in the previous courses. An approximate $54.00 may be required to obtain some or all of these materials. Learn all about the uses of marine radios, choice of frequencies, operation, phonetic alphabet, procedural words and phrases, as well as Digital Selective Calling and the Global Maritime Distress and Safety System, (DSC/GMDSS). All mariners, including recreational boaters, will want to take advantage of the many features and capabilities of this innovative form “automatic” radio. Secure your lifeline. 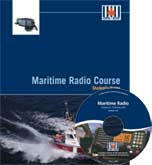 Be sure that you and your family take the Maritime Radio course. This course is for holders of Restricted Operator Certificate (Maritime) issued before January 1st 2005. Learn about the new Digital communication channels on new Maritime radios and their use in an emergency situation. Digital Selective Calling could save your life in an emergency situation. Use the stars to find your way.This is the second of a two-course program of Offshore Navigation program for the recreational boater. It introduces the navigator to route planning for going offshore, may the voyage be long or short.While overshadowed by the new electronic systems, the art and science of celestial navigation is still a valuable asset to the offshore boaters. This course provides the student with the fundamental knowledge and practical skills of celestial navigation. It involves the use of a sextant for taking sights on the sun, planets, moon, and stars. Winds, waves, fog, lightning, hail, tornadoes .... hurricanes! The wise boater respects and anticipates mother nature’s many moods. Beyond “red sky in the morning”, this course provides boaters with the tools to find and accurately interpret weather reports and forecasts, and to develop keen judgments in “reading” the sky and sea for optimum boating safety in and around Canadian waters. Newly developed for adult learners, this course will measure learning success not by closed-book, memory-work exams, but by practical, open-book applications of learned concepts to actual boating situations. Not Available here at this time.
" I've been sailing, mainly on Lake Ontario, for over 20 years and have been a CPS member since 1990. I have been teaching as a part-time occupation for over 30 years and teaching CPS courses-- Boating and Weather-- for about 5 years. My special interest is weather and the picture is me checking on the weather observation buoy located between Toronto and Niagara! " A minimum of 7 students are required to run this course. You will be notified within 2 weeks of start of course. Knowledge of the basics of navigation and planning cruises on a maritime chart is just the start. Expand that knowledge by using a variety of electronic devices to chart your course and enable you to plan your course under tidal, current and windy conditions. By learning more about dead reckoning, fixes and running fixes you will have attained a high degree of proficiency in navigating through coastal waters. 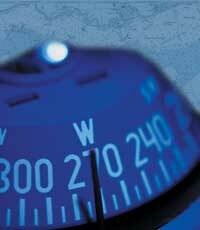 In the CPS AP Course we cover GPS, Chart Plotters, Radar, SONAR, Autopilots and more. This course will be available through 'Go To Meeting' by Past Chief Commander Tony Gardiner with some in class instruction for clarification of the more difficult course information. Time and week night to be determined by class participants.